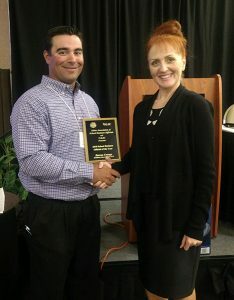 Started in 2003, the IASBO Business Official of the Year program is a peer recognition program for outstanding service, innovative plan design and implementation, or other exemplary business practices within school business management in the State of Idaho. Click here to download the Eligibility Requirements, Program Rules, and the Official Application. Congratulations to Darren Uranga of Middleton School District – 2017 Idaho School Business Official of the Year! Thanks to AIG Valic for their support of this award.